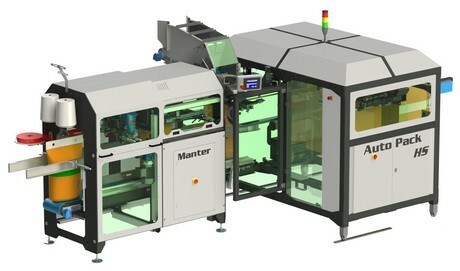 Manter has released the newest generation bagplacer and semi-automatic bagger: Bag Placer and SemiPack. The two machines combined are called AutoPack. The new generation stands out in capacity, ease of use and reliability and can also process a durable paper packaging fully automatically. “A must for every onion processor and seed potato packer,” according to Michiel Eilander, Commercial Manager of Manter International B.V. The modular combination of the bagplacer and semi-automatic are made in two versions: the AutoPack and the AutoPack HS (High Speed). Where the AutoPack has a capacity of up to 15 bags of 25 kg a minute, the High Speed version handles up to 20 bags a minute.